MAC SABBATH Announces Second 2016 Fall Tour, "Burgers and Boos"
Consequence of Sound's "Treehouse Sessions"
Leading crafters of "extra cheesy" metal covers, MAC SABBATH, enjoyed wowing fans with their Grade-A prime fast food-themed renditions of Black Sabbath anthems on their "Clown Power Tour" so much, that they're serving you with seconds! 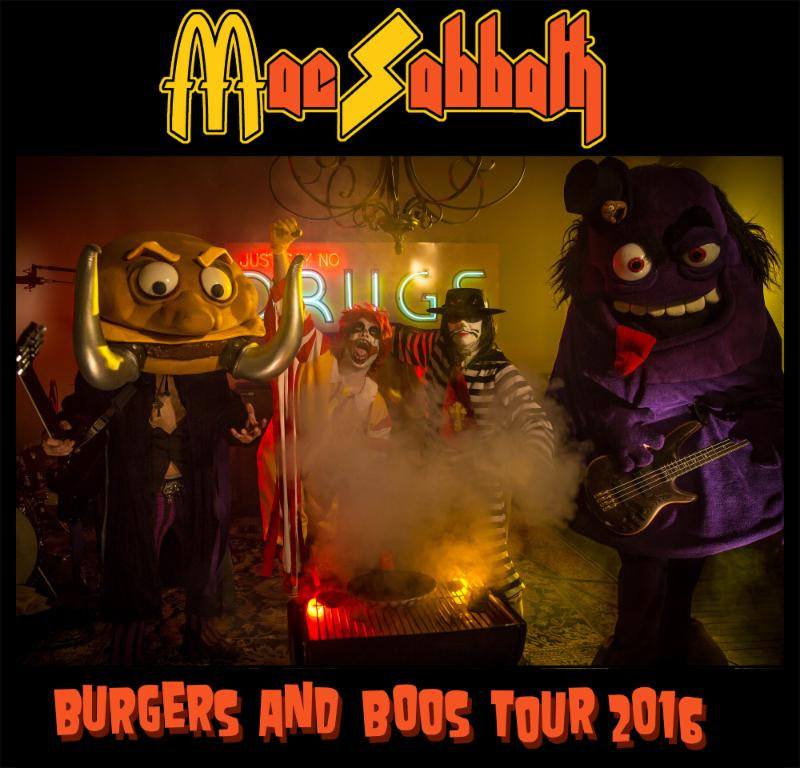 MAC SABBATH will begin their "Burgers and Boos Tour" 2016 on October 18 in Phoenix, AZ. See below for all new MAC SABBATH tour dates. Mixing raucous comedy with borderline-horrific theatrics, the only thing more petrifying than impending health problems resulting from years of overeating is a MAC SABBATH show. Show attendees should be prepared to partake in the fun - MAC SABBATH puts on a theatrical, multimedia stage show - complete with a smoking grill, laser-eyed clowns, bouncing burgers and many more magical surprises... basically anything and everything an unwary show-goer could ever want in their wildest dreams. Named by Buzzfeed as one of the "13 Metal Bands You Didn't Know How to React To"